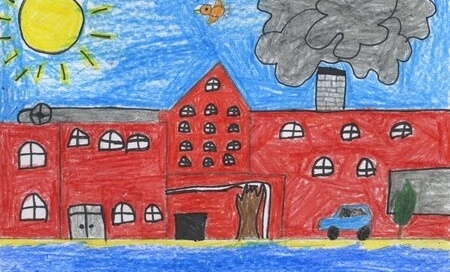 Children’s artwork and poetry highlight the history and vitality of their river town. Take a tour of Turners Falls through the colorful pages of this whimsical booklet and discover intriguing facts about the town’s industry, culture and wildlife. The 28-page full-color booklet is available for $5.00 from the CRC Store. Order Here. 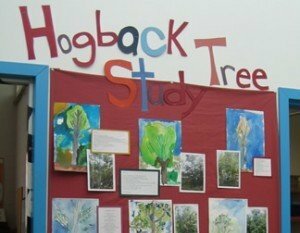 Created by the children of Gill-Montague Elementary Schools, working with Nancy Meagher in Art classes and Carol Berner in Poetry Workshops. Concept, design and historical narratives created by Rose Underhill and Kerry Ditson as a culminating project for Engaging with the Community: Children, Art and the Environment taught by Professor Annaliese Bischoff, Commonwealth Honors College, UMASS Amherst Many thanks to the Town of Montague for their support which made printing this book possible. Bridging Communities: How Does the River Connect Us? Bridging Communities: How Does the River Connect Us? Visit the online exhibit of poetry and artwork celebrating a yearlong project connecting two river communities. 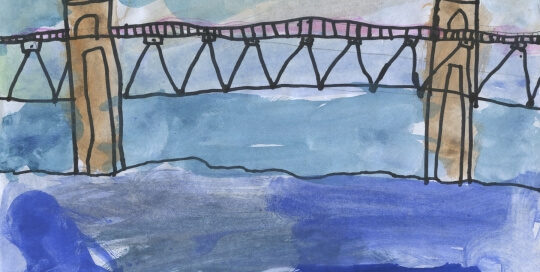 Purchase the notecard collection of ten 4x5" full-color paintings and poems highlighting children's creative perspectives on their Connecticut River towns from the CRC Shop. "[The project] enriched our students and strengthened our communities. The poetry was heartfelt and reflected the differences in our towns. The artwork was student-centered and exquisite. 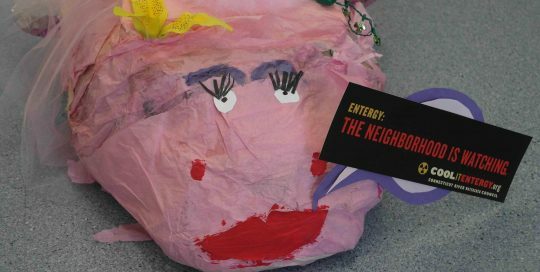 Together, they depicted such a raw view of our community telling a story that only students can tell." 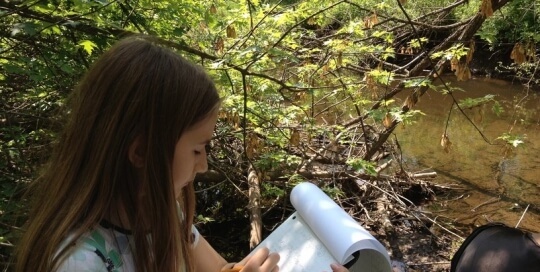 School-wide projects integrate science, art and environmental advocacy by celebrating the annual Source to Sea clean-up. Watch the video to see children creating school-wide Source to Sea projects, including a hip-hop performance, a Reading for Rivers fundraiser and a parade through Turner's Falls. Find out more about the Source to Sea cleanup and how your school or community can get involved. Click Here. The Fish in the Polka Dot Dress, a picture book available for purchase or download (PDF 16MB), features student artwork of trash in the river designed to bring attention to the annual cleanup. "Doing artwork to show people how they can help makes me feel really good because I don’t want the Connecticut River to be trashed anymore." 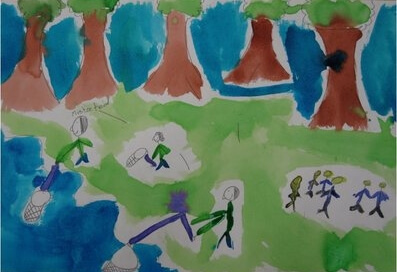 "The River"by 5th Grade studentGill Elementary School Check out an illustrated cinquain poem highlighting the impact of trash on river ecology. Read in the Greenfield Recorder: "Turning the tide: Salmon story teaches lesson on river ecology."